A blend of brown rice and barley that cooks to a creamy texture. Using a nonstick pan or iron skillet place 1-2 tbsp. butter into a warm pan and keep the burner on medium. After butter has melted add a layer of cereal to fill the pan to about a ¼ deep. Using a wooden spoon stir occasionally until cereal begins to brown. You will also notice a nice nutty aroma filling your kitchen. After the cereal is toasted to a golden brown add water to cover cereal and then some, being careful not to get splashed or burned from the steam coming off the pan. Turn the burner down low and simmer for fifteen minutes or the grains are soft. Any leftovers can be stored in the fridge for another great breakfast. In a microwave safe bowl add 1/2 cup dry cereal mix, 1 and 1/4 cup water and a pinch of salt. Cook for 1-2 minutes, stirring occasionally to prevent boil over. Please note: when cooked makes 1 cup of hot cereal. Cook times may vary based on microwave power settings. Preferred method for creamy consistency. 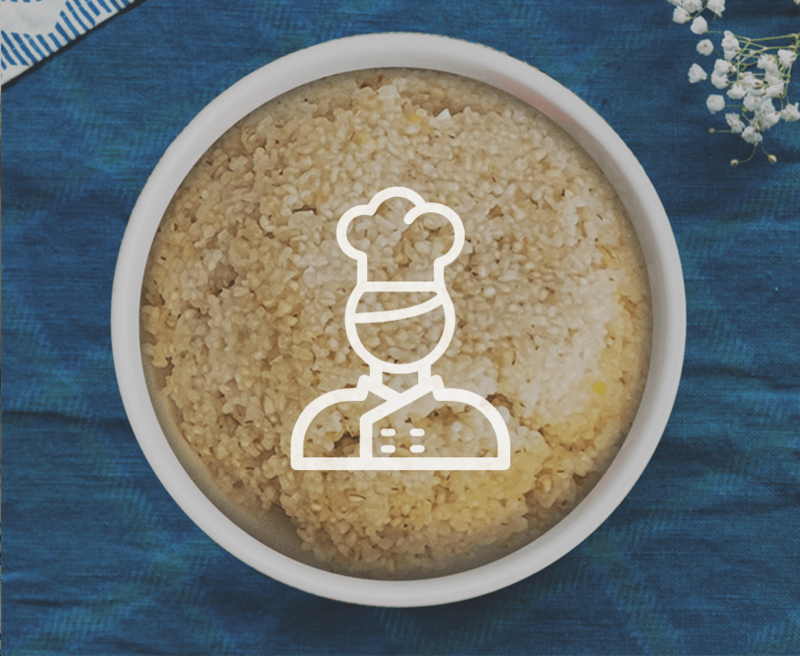 In a medium size pan, add a 1/2 cup of dry cereal mix, 1 and 1/2 cups of water and a pinch of salt. Bring to a boil, reduce temperature to low and simmer for 8 to 10 minutes. Stir occasionally to prevent sticking. Add additional water if necessary. 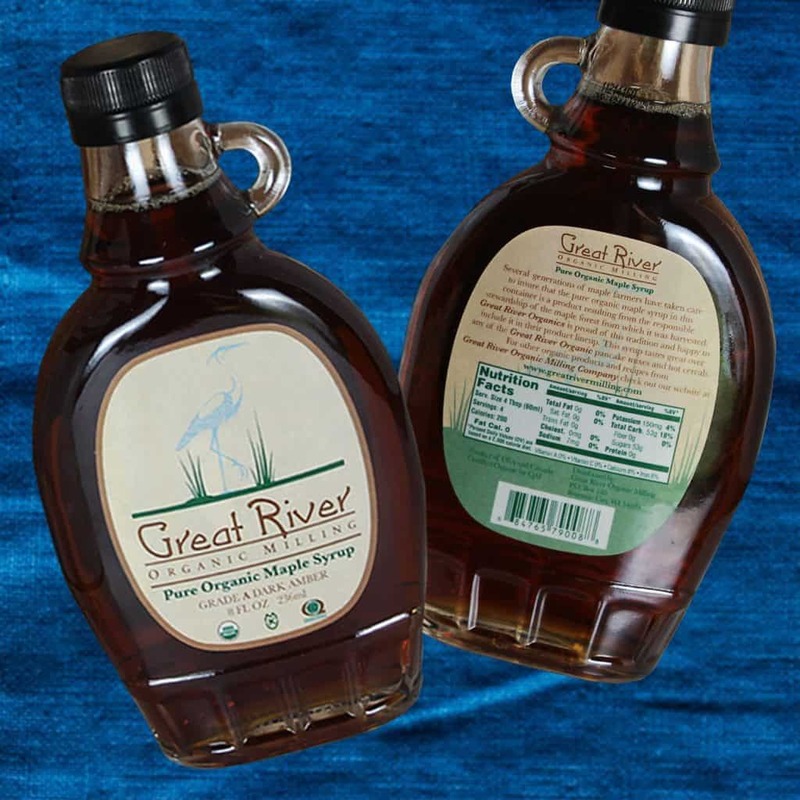 Great River Organic Milling Organic Maple Syrup, dried or fresh fruit, nuts, brown sugar, peanut butter, butter, and milk.